Fuller’s earth or multani mitti as it is commonly known is the one stop solution for a lot of beauty issues. I know you guys are already aware about all of its beneficial properties and how good it is for your skin. But hey, a little extra information is never bad, right! And who knows, you might just learn a new tip or trick. 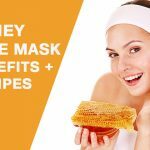 In this post, we are going to share some amazing face masks made with multani mitti – their ingredients, benefits and detailed step by step instructions on how to make the mask. Alright, now that we have established the purpose of this post, let’s get started with the first recipe. Want to say goodbye to your oily and pimple prone skin? Try this multani mitti and rose water face pack. Make a paste by mixing the multani mitti and rose water. Apply the pack over you face and leave it for 15 minutes. Once it is dry, you can wash it off. Benefits: This pack helps in balancing your skin’s pH levels which in turn reduces the oiliness. Another benefit is that it effectively removes the outer dead skin and leaves you with a glowing skin. It’s time to say goodbye to your dark spots by applying this multani mitti and tomato juice face pack. Mix all the ingredients until a paste is formed. Apply the paste on your face and leave it for 10 minutes. Benefit: Visible reduction of dark spots and a glowing skin are the major benefits of this face pack. Try this face pack for a refreshing solution to get rid of your dark patches. Start by mixing all the ingredients together and forming a paste. Apply this paste on all the affected areas. After 20 minutes, wash it off using warm water. Benefit: Within a month of using this pack, you will notice that your dark spots have disappeared. Wondering how these two ingredients are going to be beneficial for you? Well, read on! Make a paste of all the three ingredients. Once the paste is ready, apply it all over your face. Rinse it off with water after 20 minutes. Benefit: This face pack is your answer for getting a super toned, model like face which is oil free and glowy! The benefits of papaya are innumerable, so it is no wonder that there is an effective face pack which includes both papaya and multani mitti. Mix all the ingredients to form a paste. Wash and clean your face before applying the face pack evenly on your face. Wait until it dries off completely and then wash it off. Benefit: Using this face pack twice or thrice a week will result in a healthy looking and glowing skin. If you are looking for ways to make your freckles and pigmentation disappear, then we suggest that you try this face pack. Prepare a paste by mixing all the three ingredients. Apply this pack on your face and rinse it off after sometime. Make sure to use this pack twice a week. Benefit: The olive oil will help in moisturizing your skin and the carrot pulp will help in pigment reduction. The benefits of this pack will surely make you go wow! Read on to know why. Put all the ingredients in a bowl and mix them together. 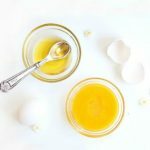 Apply this mixture on your face and later wash it with warm water. Benefit: This pack is going to help you in getting rid of all that unwanted tan and will also help in cooling down your skin. We all go through acne problems and every solution to treat it is precious. First step is to mix them all together and form a paste. Wash your face and apply this pack on your face. Wash it off after half an hour with lukewarm water. Benefit: Your pimples and acne are a result of excess oil secretion and this pack will help you in controlling it. This will in turn fix your acne problems. This face pack is is going to be your best friend during the winters! Take all the ingredients and mix them into a paste. Wash your face and apply the paste on your face. Once it dries off, remove the pack with a wet sponge. Benefit: During the winter season, your skin invariably becomes dry. To keep it soft and supple, apply this face pack at least twice a week. These multani mitti packs are suitable for all skin types and hence should be included in your beauty regimes without a second thought. 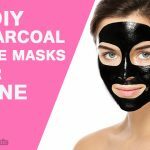 These face packs are a much better option than those expensive parlor ones! Try this home remedies for glowing skin with Multani mitti for face Packs for all skin types that helps to get flawless looking skin.